Vidyo`s survey – 75% of Healthcare Delivery Organization are using TELEMEDICINE or plan to use it in the near future. Are you among them? In Romania, we have huge problems in the healthcare public sector. Many of our young doctors are leaving the system and even the country in search of a better professional life. We all know this. However, the private healthcare organizations are developing, on the base of the growing need of quality healthcare services in our country. If you run such a business, when was the last time you`ve had a serious discussion with an IT professional regarding what you could do to increase the quality of your services? You might have very well-prepared doctors and nurses, modern facilities and many other advantages, but surveys today show that HDOs (Healthcare Delivery Organization) all over the world invest in “Telemedicine” and develop their business counting on this advantage. Our partners from Vidyo surveyed over 300 nurses, physicians, healthcare administrators and IT professionals about telemedicine and the future of investments in this field and found out how important it became. You think this is not the moment to think of that? Maybe you will think about this again when you hear that 75% of the HDOs are already using telehealth solutions or planning to use them in the near future. 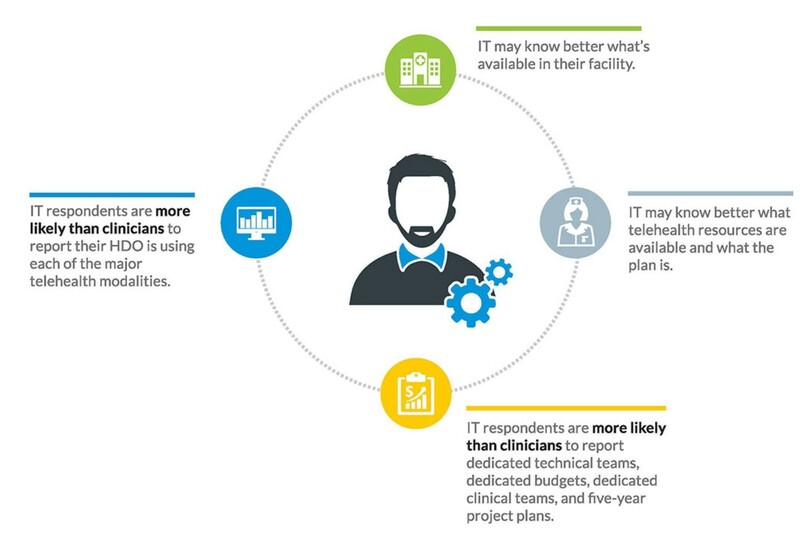 If now you`ve passed to the next questions “How much should I spend on this?”, maybe it helps to know that 66% of HDOs are investing about 20% of their technology budget in telehealth solutions. Telehealth technologies do not make your patients` life harder! Nor your staff`s! Don`t think about them as complicated solutions coming “from the future”. On the contrary! The mentioned survey shows that 2/3 find it very easy to use telehealth technologies. If these ideas gave you solid reasons to reconsider your investments in the technical part of your healthcare business, don`t sweat over it! The best thing you can do is to contact us for professional consultancy and solutions: www.telecomdata.ro.